According to media reports, Sharmila was sent back to the judicial custody. The court is expected to order her release from hospital soon. 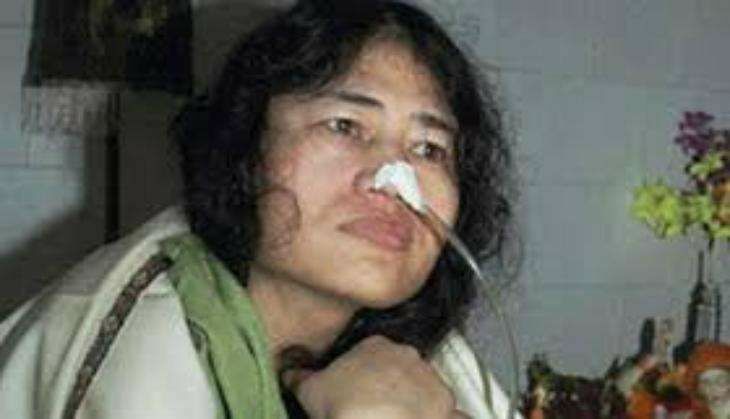 "Irom Sharmila has been released on Rs 10,000 personal bond," her lawyer said, adding, "two witnesses were examined, on 23 August Irom Sharmila will be examined in court again". Sharmila made the announcement to end her hunger strike on 26 July. "I will break my fast as the government has failed to give any positive response... I will fight elections to resolve the issues," she told ANI. The 'Iron Lady' of Manipur has been arrested and released several times under Section 309 for attempted suicide - a charge she has denied for 16 years. According to reports, she previously rejected the Aam Aadmi Party's offer to contest the Lok Sabha elections under its banner from the inner Manipur Lok Sabha seat in 2014. With the activist set to step foot in the realm of politics, both the Congress and the Bharatiya Janata Party have thrown their doors open for her, saying that she is welcome to join their party. Irom Sharmila has been released on Rs.10,000 personal bond, says Lawyer of Irom Sharmila. READ NEXT >> Rustom: Was Merchant Navy a possible career choice for Akshay Kumar?